via Western Wake Farmers’ Market: How to fillet a whole fish. Purchasing whole fish gives you more options for your weekly menu and is usually less expensive than purchasing fillets. I bought this fish from Locals Seafood. 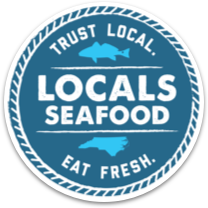 It’s important to buy fish from vendors you know and trust, and every Saturday Locals is at Western Wake Farmers Market – Morrisville.